A taste of abedahu (aboudaju, bottarga), Greek olives, reshas, a glass of raki….and Port Said playing in the background. A meze to delight……’Happy Hour’ Rhodesli style. We’ve written about finding the perfect abedahu, a salted, cured fish roe, a delicacy in our Rhodesli homes – made in Atlanta, GA by the legendary gastronomical culinary craftsman, Dan Maslia. (for information on ordering his abedahu, contact Dan at dmaslia@bellsouth.net). Dan’s parents brought the recipe with them from Izmir, but it wasn’t until much later that Dan took up the art himself, making it side-by-side with Rabbi Robert Ischay(z’l), the beloved spiritual leader of Atlanta’s Or Ve Shalom Synagogue. As a boy, Dan remembers cleaning fish at a fresh foods market and carefully removing the sack of eggs (the roe) along with the bones, the entrails that were discarded before the fish was cleaned and ready to sell. Dan carefully salvaged the roe and brought it home for his mother, aunts and neighbors to clean, salt and cure on their back porches to make our precious abedahu. From a time when nothing was left to waste, the roe was turned into a delicate, salted and cured ‘poor man’s caviar’ – savored by our folks. It is served as a delicacy in Italy, referred to as the ‘truffle of the sea’, delicately grated over pasta or other dishes, adding a unique, savory taste to whatever it graces. In Japan, it is called Karasumi, a highly prized and priced delicacy eaten while drinking saki. A treasured delight. It’s demand has driven up the price and limited the availability of the roe. Dan still manages to procure some of the finest mullet roe from the southern coast and prepare it as it has been for generations. The amber, golden bars (or ‘dethos’ (fingers) as we call them) are a sight and taste to behold, ‘intense and elegant,’ as described by Lucianna Squadrilli, ‘with a pleasant, bitter aftertaste.’ (definitely an acquired taste.) 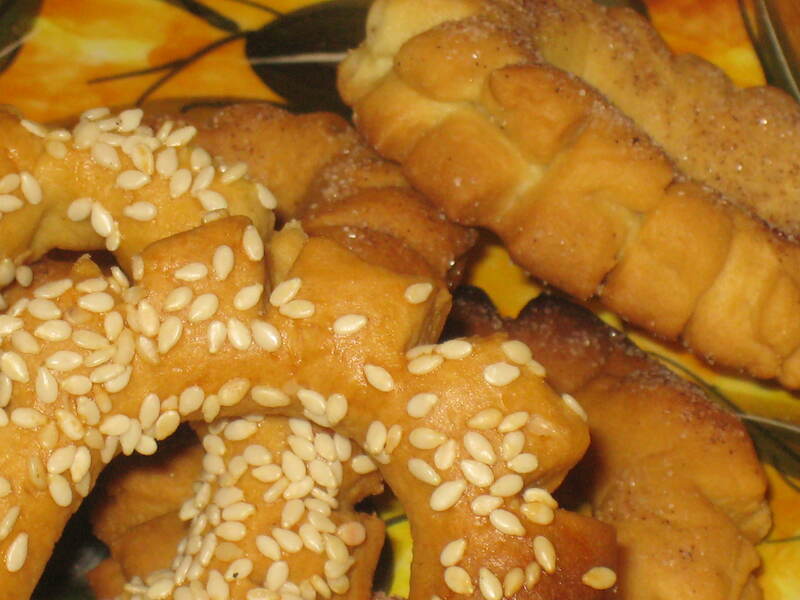 We love it with a slice of a baguette, or better, with a resha…..a light-as-a-feather, pretzel-shaped, sesame covered biscuit from a yeast dough. Reshas or reshikas as they are sometimes called, are a favorite in our family. A resha is not actually sweet or savory; it is light and has a crunch that is sensational, especially if you love texture in your food! With a piece of abedahu, a few olives, some raki……our Happy Hour. Reshas with a cup of coffee or tea and with a chunk of sharp cheese, a delight! My husband and my sons love them with dips such as tarama (a Sephardic caviar spread), with tzatziki (a Greek yogurt dip), and with ajada (a potato and garlic dip). Mostly, they love knowing they are in the kitchen, and grab one when passing through!!!! Reshas take time to make. So….how does one make these divine reshas? 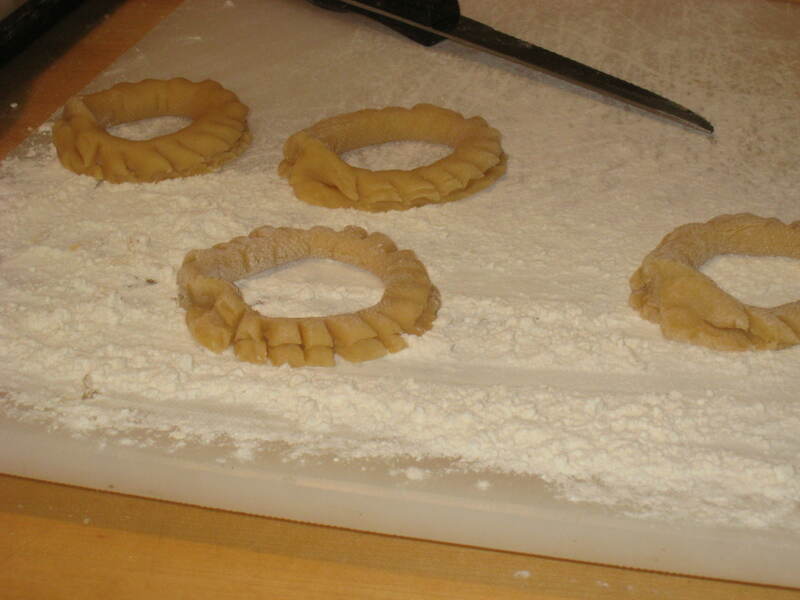 Start by making a yeast dough. Start with 2 packets of fresh yeast ( always check expiration date on package). Place in a glass bowl. 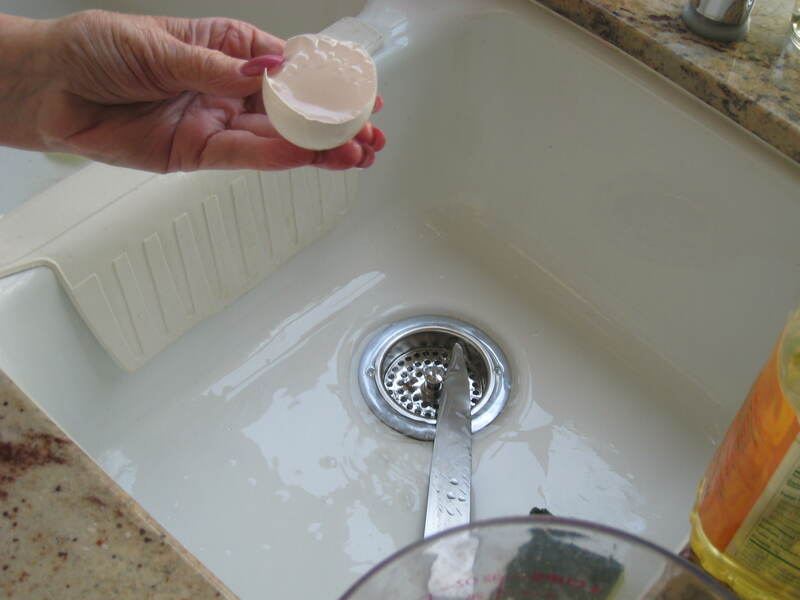 (*rinse bowl in warm water first). Add 1/2 C of lukewarm water. Add 1 tsp of sugar. 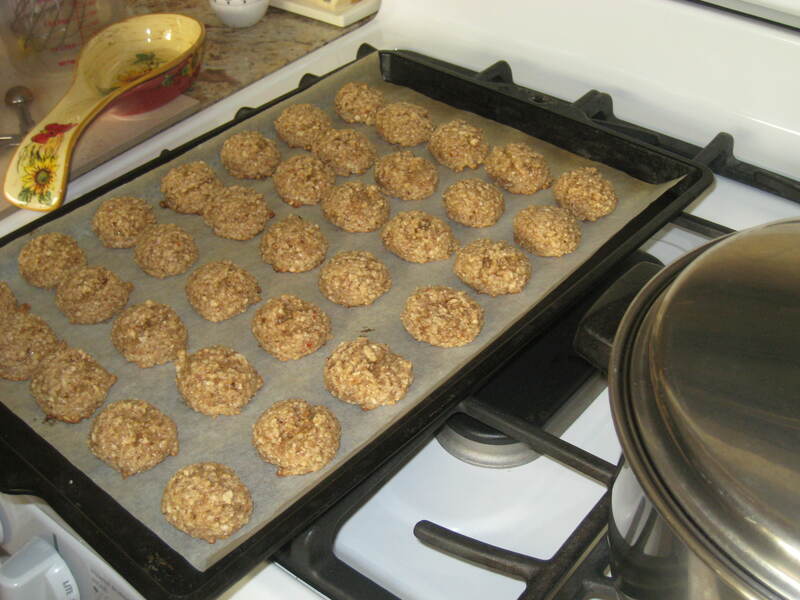 Set aside in a warm place ( a toaster oven or microwave….not turned on). Allow yeast to proof ( foam), about 20 minutes. 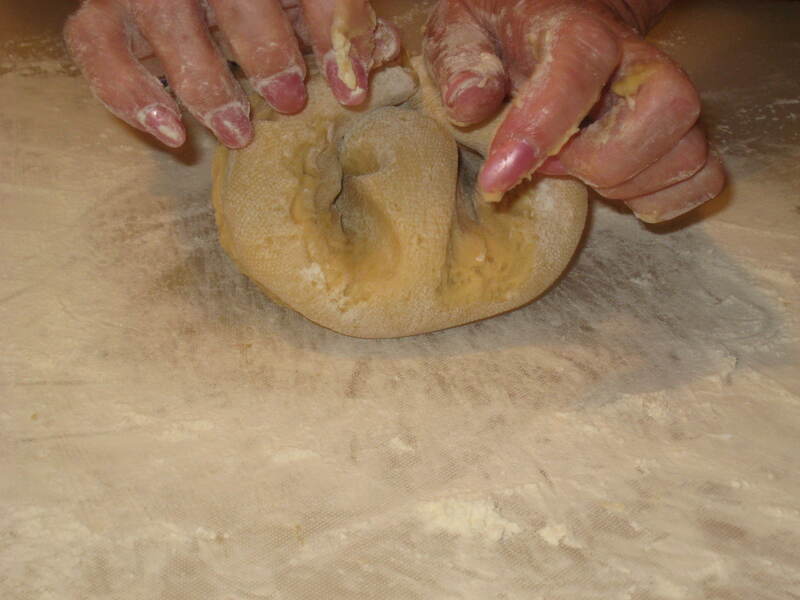 My mom use an electric Mix Master with a dough hook. Put it in a bowl, cover with a piece of Pam-sprayed plastic wrap. Tuck the plastic edges in nice and cozy! Put the dough in a “warm” (i.e. draft-free) place and let it rise for about an hour. My mom will tell you this is a good time to go make the beds, or straighten up the house. My cousin Sarita will tell us it’s a good time to run up to Neiman’s and see what’s new. I’ll tell you it’s a great opportunity to start preparing some biscocho dough and make a day of baking!!!! You choose! Cut the dough into walnut sized pieces. Turn into a pretzel-like shape. “Paint” with an egg-wash and dip into sesame seed. Place onto parchment lined cookie sheet. Now, let them rest for another hour under cover as they rise again. Place in a preheated 350 degree oven. Here’s the important part: place baking sheet on low oven rack for about 10 minutes or until bottom of reshas begin to turn a golden color. Then place them on the upper rack of the oven. It should take about another 10 – 15 minutes until the tops become a golden brown as well. (This depends on the oven and might take a try or two to figure out the exact timing). Remove from oven and allow to cool. Return them to a 200 degree for 1 hour to “biscochar” ( crisp ’em up). Enjoy!!! Now you’re ready. Get your raki…..slice the abedahu. A few greek olives…..turn on Port Said……a few reshas. It’s time for Happy Hour! Enjoy! My cousin is getting married this weekend. Actually, it’s my cousin’s grandson. This is the eldest grandson of my mom’s eldest nephew – and my mother and her nephew grew up practically as siblings. We’re a close knit group. We try and keep our relationships strong and keep our traditions alive. With the wedding this weekend, the cousins got together and made bombonieres, the favors given to each guest, made of Jordan almonds and foil-wrapped chocolate kisses, all wrapped together in tulle, with a ribbon tying it together. 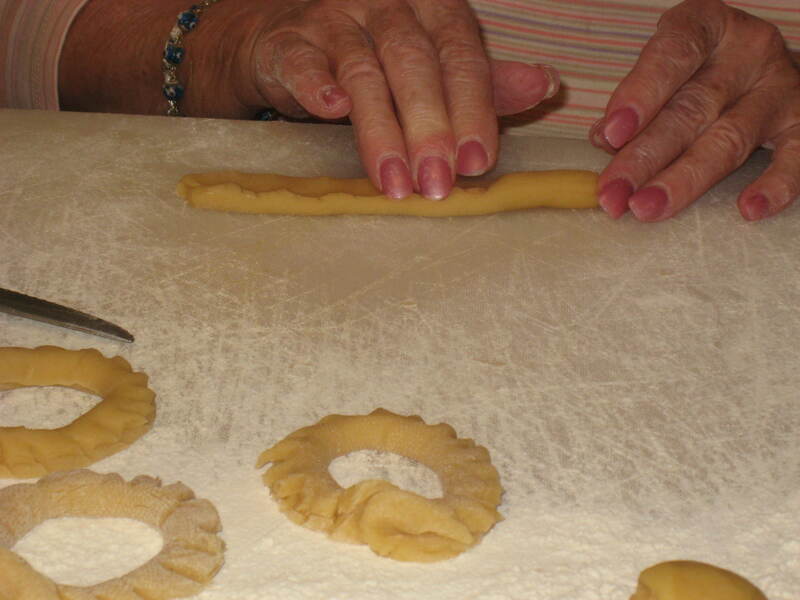 These are traditions likely woven into our customs from our Greek and Italian neighbors. The almonds are bitter on the inside with sweet coating on the outside. There are five almonds in the package – an indivisible number. So should be their life. Through the ups and downs, the bitter and sweet – they will face life together, and remain united and as one. And the number five corresponds to five blessings the guests wish for the new couple – health, happiness, children, financial success and long life. The chocolate kisses… I think they looked pretty in the mix, and added an extra touch of sweetness! All are gathered together in a circle of tulle, tied with a ribbon that is imprinted with the names of the bride and the groom and either the date of their wedding or a special saying for them. A nice keepsake of the day. As we’ve shared on this blog before, ‘masapan’……marzipan….is that delicious sweet that our mothers lovingly make for engagements, weddings, a brit mila or a Bar (and today even a Bat) Mitzvah. Basically a homemade almond confection made with ground almonds and sugar, marzipan traces it’s origin to …..well….that depends. Some say the Persian empire, introduced to Europe by the Turks; others claim the origin to be Spain. In any case, it got to us, was a delicacy on our beloved Island of Rhodes, and our grandmothers brought it here with them when they came to these shores. While some from Eastern Europe talk of marzipan being colored and fashioned into miniature, fruit-like shapes, our variation is kept in it’s white, pure state, made into a simple design. 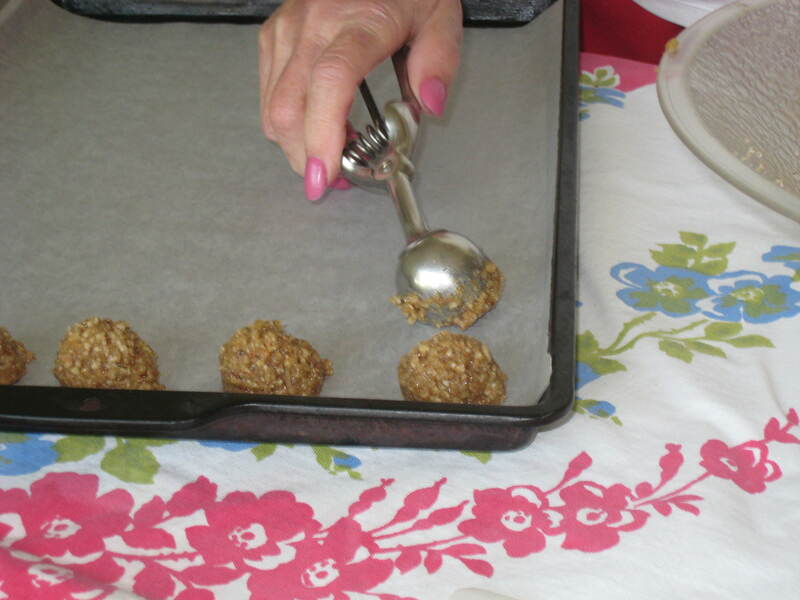 My mother, Kaye Hasson Israel, uses a recipe shared with her by Rebecca Levy. Here is the recipe and photos. This recipe makes about 125 pieces of masapan. Start with raw almonds. To blanche, bring a pot of water to a boil. ( enough water to cover the almonds). When water boils, add almonds and leave them in for 4 to 5 minutes (until skin is loose). Rinse in a colander with cold water. Remove the skins from the almonds and place almonds into a bowl of cold water ( to prevent discoloration). Take a clean towel and dry almonds thoroughly. 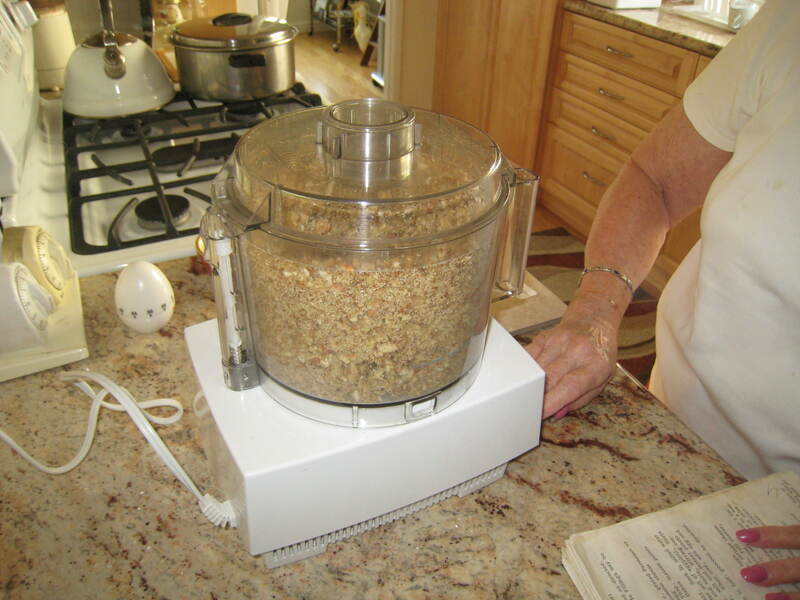 Put almonds into food processor with blade. Grind to a fine texture. In the meantime, mix sugar and water and heat over medium/high flame. Make sure sugar dissolves. Bring to a boil. This is to make a sticky syrup. Stir and watch carefully so it does not discolor or burn. Test for correct stickiness by removing spoon from pot, allow it to cool a bit, placing a drop on your fingers and noting a ‘thread’ of sugar when pressing then pulling apart finger and thumb. At this point, lower the heat and add ground almonds. Thoroughly blend and constantly stir mixture. Cook and stir masapan until it reaches a dough-like consistency. (continuously stir over medium heat…..seriously….. continuously stir. It can easily burn if not consistently stirred. A good opportunity to develop those arm muscles!!) ( it will cleanly leave the sides and bottom of the pan when ready). Remove from heat and allow to thoroughly cool. 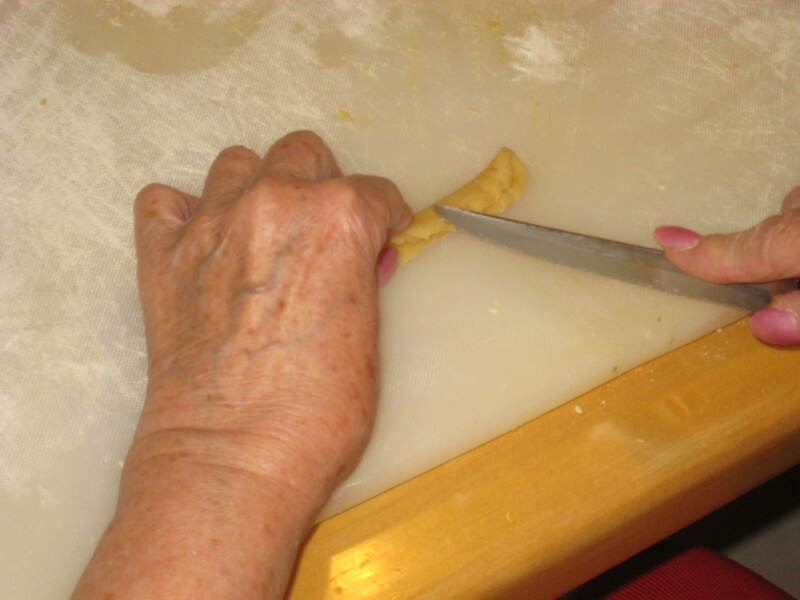 Once cooled, knead on your rolling surface to create a smooth dough. 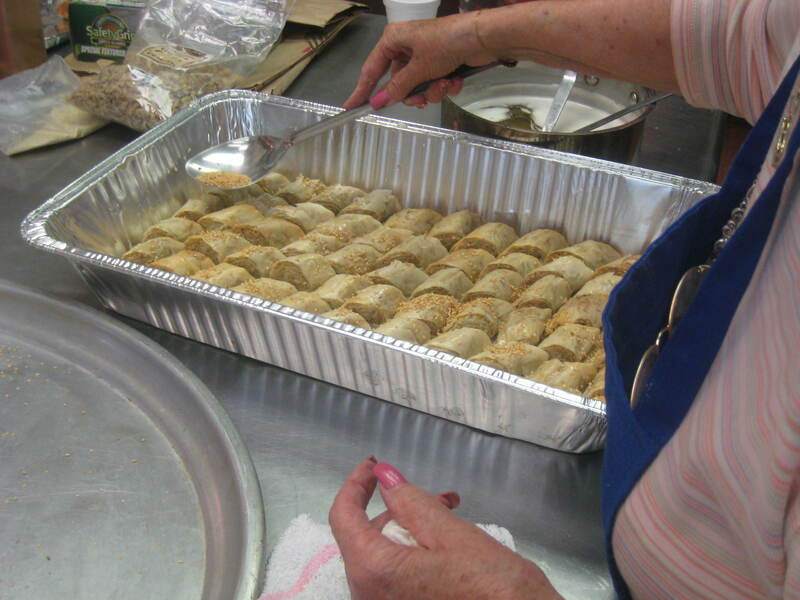 Pinch off small portions and roll into a long strip. (Perhaps cut into 10 – 12 portions before rolling). Keep a bowl of water handy. Dampen your rolling surface and hands, as it will make it easier to roll out. Cut at an angle into diamond shaped pieces. For engagements, our tradition has been to make a “mano” (hand) fashioned out of masapan, with silver dragees across the ring finger. This is fashioned on a tray, surrounded by cut pieces of masapan, jordan almonds and often, a gold leafed piece of ‘aruda’ ( the rue plant). Like all our delicacies, masapan takes a bit of practice. And the results are divine! Always a blessing to have these special traditional treats made by loving hands for the special occasions in our lives. And l’dor v’dor. May we all continue the traditions for our children and our children’s children. Bendichas manos! As with the love in our hearts, may our hands continue to be blessed! What is the thread weaving together the Rue Tigrane Pacha in the Egyptian coastal city of Alexandria, Shah Street in the cosmopolitan city of Teheran, and the Puerta de la Mar in the Old Town of Rhodes, once a part of Turkey and now a part of Greece? And what do ‘cahk’, ‘toot’ and ‘ashuplados’ have in common? These are the tastes and the neighborhoods we once called home. “Cahk” is an Egyptian egg and sesame biscuit, “toot” a Persian marzipan delicacy shaped like white mulberries, and “ashuplados” are meringue clouds from the Island of Rhodes. These recipes and recollections, along with other multi-cultural delicacies, make up the new Sephardic Heritage Cookbook, produced by the Or Chadash Sisterhood of Sephardic Temple Tifereth Israel in Los Angeles. The Sisterhood originally produced a cookbook in 1971, which has sold several thousand copies throughout the world over the past 40 some years. Since that time, Sephardic Temple Tifereth Israel has grown, evolved and become home to a growing number of Jews from throughout the Ottoman lands and the Middle East, as well as new generations of young families drawn to the warmth and vibrancy of the community. Each group has brought with them a cultural and culinary tradition that together create a beautiful ‘salad bowl’ of diversity that makes Sephardic Temple Tifereth Israel such a rich and enriching place to call home. The ‘Cookbook Group’ has been meeting for the past five years, sharing recipes and traditions from Turkey, Morocco, Rhodes, Iran, Israel, Curacao, Egypt and South America. Our diversity makes us unique – bringing new flavors and traditions to the table; always marveling at the similarities we share. The new cookbook, replete with or stories and photographs of delicious delicacies, is a volume that all collectors of ‘Sephardica’ will want for their library……and ‘foodies’ and cooks of all backgrounds will want in their kitchen. Get a copy for yourself – and get a few for gifts! 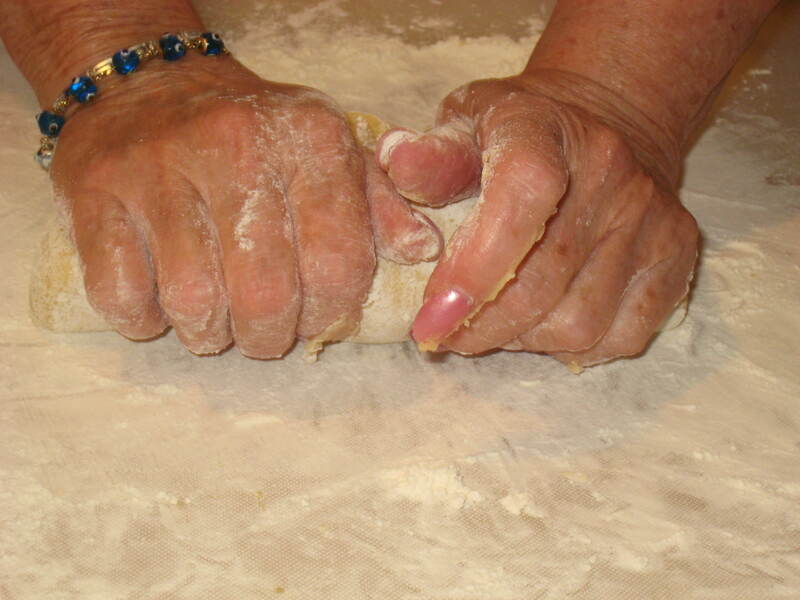 Enjoy cooking ….and may your hands always be blessed! It’s Beginning to Feel a Lot Like Pesah! With Pesah just around the corner, it’s time to share some favorite recipes. I am including my mom’s Keftes di Prassa, leek patties, and Megina, Passover meat quajado. What Seder would be complete without Haroset. Here is our family’s favorite, my cousin Sarita’s Haroset. We have some delicious dessert recipes in our community. 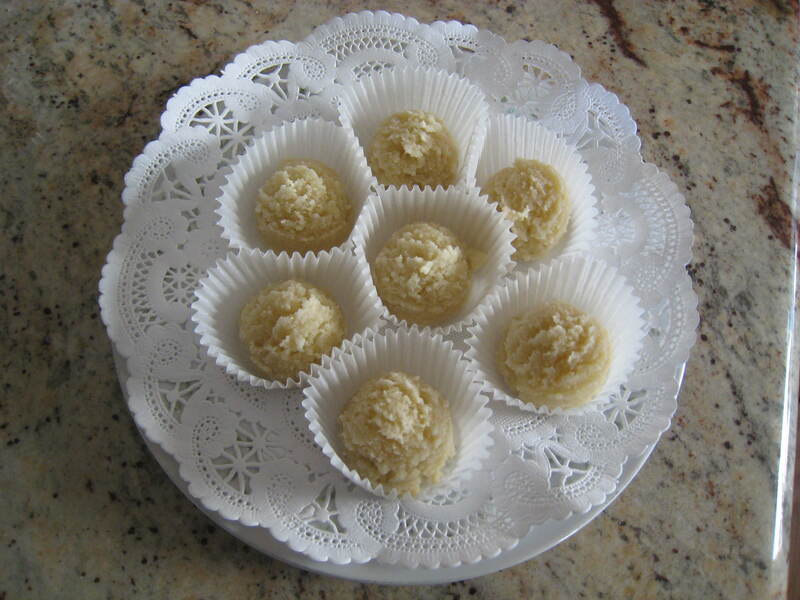 Check out our recipes for some of my mom’s best: ashuplados, mustachudos (a nut confection) , masa di vino (wine cookies), and marochinos (almond macaroons). As with all things Passover…..enjoy the opportunity to be with family and friends. Document your family recipes and traditions, cook together, enjoy the time. With each dish we serve and each traditional song we sing, we recall lovingly those family members who are no longer with us, whose recipes and memories are present at our table, and whose names we mention at various time throughout the evening (and throughout our many family gatherings). As we retell the Passover story, so too, we retell our family stories. I love the fact that our grown sons “know” and talk about family members, several who passed away years before the boys were born…..but whose life lessons and stories are still very much a part of our family gatherings. Memories live on! We would love to share some of your family stories with “Bendichas Manos” readers…..please feel free to send them on to us or share them with us on Facebook at Bendichas Manos! Most important, share them at your seders. This keeps our histories and our stories alive! Cook up all their favorites. Enjoy the holiday. May your hands always be blessed!